It feels like it has taken an eternity for Sega to get around to releasing its own answer to the NES and SNES Classic Editions. While the much-disliked AtGames has plopped out wonky Genesis / Mega Drive clones for years now, this new venture promises to be something different – it's finally time for the real deal. This time around, the software side of things is being handled by M2, the same company that worked on the Sega Ages and Sega 3D Classics series, so you know you're in safe hands. On top of that, legendary composer Yuzo Koshiro has confirmed he’s making menu music for the console. Some top talent, then. With Sega overseeing this effort, it’s hard to see the Mega Drive Mini repeating the mistakes of previous licenced attempts. While enthusiasts will probably still want the accuracy and precision of something like the Analogue Mega Sg, this Genesis Mini is shaping up to be super convenient way to play some classic Sega games on a modern TV without forking out the sort of money that could get you a brand new console from this generation. What’s in the Sega Genesis / Mega Drive Mini box? In the US and Europe the Sega Genesis / Mega Drive Mini package will include the console, two classic kidney-shaped three-button controllers, a power cable, USB power adaptor and HDMI cable. How is the Japanese version of the Mega Drive Mini different? While each region will get its own variant of the console, the controllers coming with the Japanese version will be the six-button versions. There’s no word yet if these will be available to buy individually (or if they’ll make an appearance in the west). Japan also gets the option of a cheaper pack with only one controller, so that might be worth keeping an eye on if you wanted to supplement your western console with a six-button pad. Game no Kanzume Otokoyou (a Japan-only Sega Channel compilation featuring the following twelve games: 16t, Flicky, Putter Golf, Hyper Marbles, Shi no Meikyuu, Medal City, Paddle Fighter, Ikasuze! Koi no Doki Doki, Penguin Land MD, Pyramid Magic, Robot Battler, Teddy Boy Blues and Aworg). 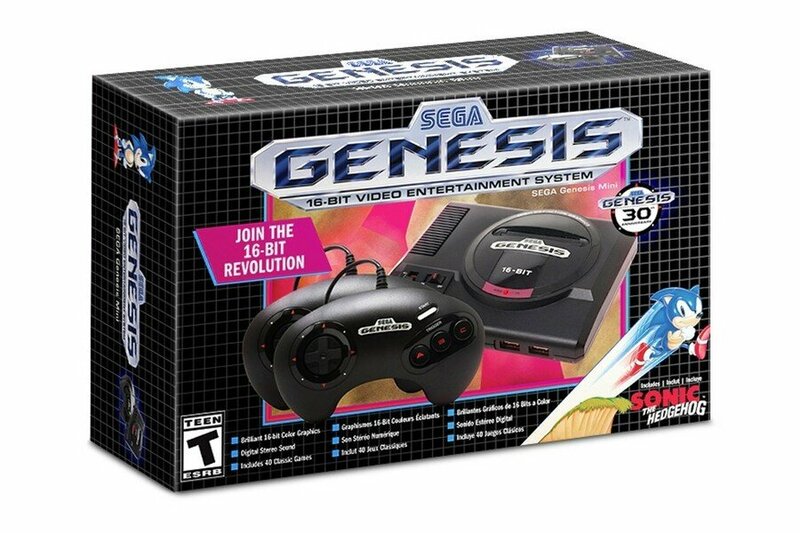 Is it worth pre-ordering the Sega Genesis / Mega Drive Mini? Before the announcement of M2 and Yuzo Koshiro’s involvement, we’d have answered with an emphatic ‘no’. However, given the talent Sega has enlisted and the quality of the unit as shown in trailers, it really seems like the company has taken note of Nintendo’s success with its two Mini Classic consoles and is ready to deliver an experience worthy of the Mega Drive’s legacy. Just look at the attention to detail on those cartridge slot flaps in this trailer! A word of warning though: make sure you're getting the brand new version. Warehouses and stockrooms all over the world are still clogged with the awful AtGames plug-and-play mini Mega Drives and we'd imagine unscrupulous retailers will try to offload inventory on unsuspecting customers and well-meaning relatives. Double check that the description and packaging matches what you see below before snapping up a 'bargain'. With the build quality of this upcoming console looking to rival Nintendo’s efforts, we expect this to be a hot item with many of these units ending up on auction sites, so while it’s impossible to predict Sega’s production and distribution plans, we’d get in early before the scalpers and pre-order one today. These are all the pre-order options which we could find at the moment, more will be added as they pop up. True Mega Drive aficionados will accept nothing less than the best - a Japanese import just like the good old days! The advantage with importing a Japanese Mega Drive Mini, is that it comes with a 6-button controller as standard. 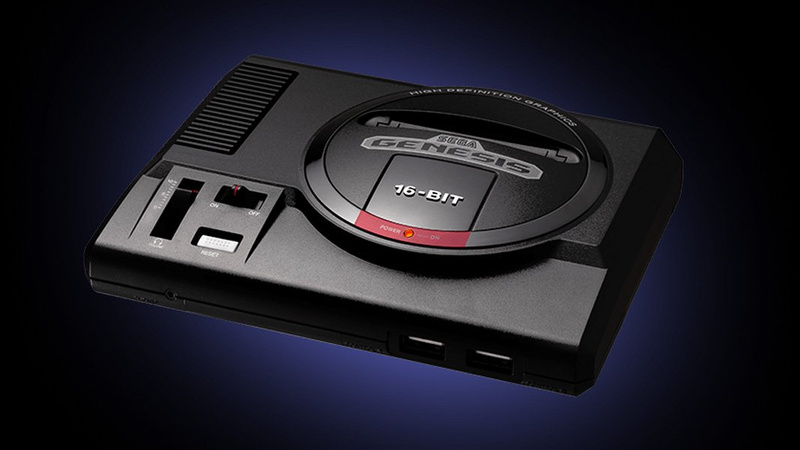 Let us know if you'll be slamming down a pre-order for the Sega Genesis / Mega Drive Mini with a comment below. I've read elsewhere that the Japanese SKU will get 6-button controllers, but US and EUR will only get 3-button variants. What in the actual? My only reasonable justification for this would be that the JAP version will have games that more specifically benefit from 6 buttons that the US/EUR versions won't have. But I know nothing about this, so if anyone does feel free to enlighten me. I think after how the Playstation Classic turned out I'm going to wait for the reviews. Plus I want a Japanese console as if it comes with Contra Hard Corps it will be the easier version. Seriously, no one should be pre-ordering this until they at least know the full library, see how the whole menu/UI looks and works, and get some hands on impressions. Sega might be saying they're doing it right this time, and so far so good, but this is the same Sega that also let AtGames officially produce all those crappy Genesis/Mega Drive Flashback consoles for quite a few years now. I wouldn't jump in until I at least know the quality is genuinely going ot be there this time around. Surprised at the 3 button controllers, but I guess it was mainly Mortal Kombat and Streetfighter 2 that used the 6 buttons. Since M2 are handling the software side of this package, it's entirely possible that you'll get to enjoy all the international versions of games with their differences. They usually make the effort. 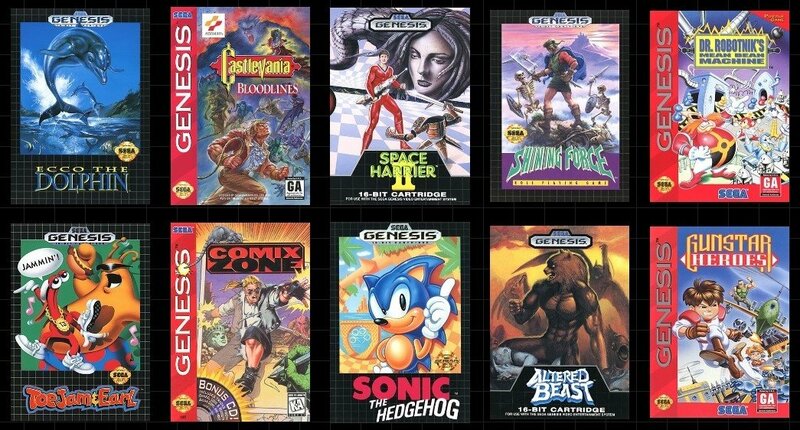 Doubt we'll get Sonic 3 & Knuckles; without these classics it's a no buy from me. M2 are handling the software!!! WOW! Welcome to license negotiations hell, SEGA! If you ever get bashed for being 'off topic by Nl then I suggest you link them to this article! -I'm surprised about the decision of making the Western version's pads 3 button. I guess that it means we won't get fighting games, but I got to admit that using the 3 button pad again after decades wakes up some extra nostalgia in me. -I already have the original console itself, I'm thinking about getting an Everdrive in order to play in an actual console the games I can't obtain for space and economic reasons and also have a newly bought Raspberry with a Mega Drive case, but... somehow this release feels exciting. I guess it's the official part of it, and the M2 involvement. -With different libraries, a part of me will regret not getting a Japanese Mega Drive mini too, but... having to pay extra for the shipping kind of wipes that feeling. Altered Beast is one of my favourites ever. I remember I played it for hours on my first pc. Great games. Does it really matter if certain games are missing? The thing will be hacked within a month. To be honest, yes. I know it would probably be trivial to add the games you want, but it's a matter of getting the games you want in the package as-is. I really wish Sonic 3 & Knuckles could escape its licensing hell and could just be part of the numerous retro offerings SEGA have with every new console generation. It at least does have a Steam release. @timson72 ever tried hacking a controller to put extra buttons on it? I have my eye on this one for sure. My main concerns are judging by the polls they did, are we getting multiple games in the series? Sonic 1 and 2 for instance, were in a poll competing for a top spot here, but both belong here! I hope this isn’t the case but am happy we’re getting games like castlevania. Also the button controller is what I grew up on but the 6 button is superior for fighting games, maybe the 8 bitdo pads will work. And lastly will this be hackable? I’d love to add some licensed sports titles and tmnt for sure, but if it will require a flash drive jutting out of my player 2 port, no thanks. I thought we were getting Sonic 2? Or is that a Japanese difference? I like the boxes! They look great, so close to the one they are trying to mimic. Too bad its the 3 button controller and not the 6 button. Or at least the standard inputs to use the old controllers. I hope it will accept those new retro bit 6 button USB controllers instead. But will not pre-order, need to know the rest of the game and will wait on reviews. @RupeeClock I get what your saying,but it's not the end of the world and at least it's not bloody AtGames doing it. Oh absolutely, I'm grateful that M2 are working on this. Licensing and game selection aside, M2 do fantastic work, we should see no compromises on input, graphics, accuracy, etc. I'll be looking out for this but I probably won't pick it up until the full lineup is revealed. As it stands right now I'm very interested since it has Castlevania: Bloodlines. Isn't this, like, the 30th Genesis mini to exist? ATGames or not, it feels like old news. Why? A pre-order is free and can be canceled if, when you see the final list, you're not satisfied. History indicates that if you wait too long you'll have difficulty getting your hands on one of these retro consoles, unless Sega floods the market with them. So far, even with this short list, the only disappointment is that they went with the "classic" three-button rather than six-button design for the controller. I am fine with the 3 button controllers. Just make the connector USB and compatible with Retro-Bit's 6-button pads. I am already getting some for my Super Retro-Cade. And yes, I will be pre-ordering. I almost missed out on the SNES Classic because I didn't, but my wife was able to get one for me this last Christmas. Is it wrong I want to play with the SNES Classic and the Genesis Mini like action figures and make them fight eachother using different game titles as special moves......? Not preordering, as I want a hardware review first. Assuming the emulation quality is great and it gets a great selection for the other 30 games, though? I'm down. Being an American, I find those 3-button controllers to be INCREDIBLY nostalgic. Thanks for the heads up, NL! I hope they put Warsong (Langrisser) on this thing. Ecco the Dolphin? Now your speakin my language! Ah an NES,SNES, and Sega Genesis in my home. Talk about a triple dose of nostalgia! Even if they are plug n plays. @AirElephant A pre-order isn't free. You do hafta pay cash to reserve it. But yes it can certainly be cancelled. As for making their plug n plays scarce, Sega has always been generous with their distribution of these nostalgic little things. Sega Does What Nintendon't. None of these links work for Canada. Come on NintendoLife, show your Commonwealth family some love. @AirElephant Ah, I thought pre-orders usually mean you putting down some money in advance. @impurekind @Tempestryke Dunno about other sites, but Amazon lets you reserve an item online and doesn't charge you until release. You can even put money in your Amazon wallet and gradually pay it off, like pre-release layaway. So preorders are pretty much "free" until the game ships out. I know its tiny and probably impossible, but I heard a pretty popular 'Youtuber' (name escapes me now) yesterday, say this thing will take original cartridges. Is this true? Maybe he was just a bit over excited about the announcement, but no harm asking. Probably won't buy this. 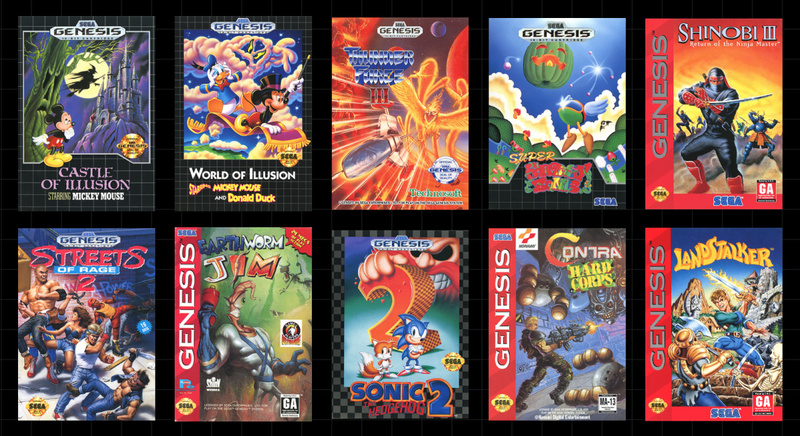 Never was a huge Genesis fan and the only three games I want (Sonic/Knuckles, Ecco, Aladdin), two I have on my Wii Virtual Console via Wii U and the other will never come out due to licensing issues. I remember at first Sega and Nintendo had a close fight in the 16 bit era. Once Nintendo let Mortal Kombat 2 come out uncensored and then released Donkey Kong Country, they dominated the decade and ended up winning. Super Nintendo was the last time Nintendo competed on specs (though you could argue GameCube was also competed on specs). With the massive success of the Switch, I still wonder how much stronger they could be if they competed on a specs level with PlayStation and Microsoft. @readyletsgo Maybe with an adapter? @mikegamer ah maybe, just like with the SNES mini. Looking at the MDmini now, it's the size of a cartridge, doubt it very much that it'll play carts native. Oh well, at least I have my Hyperkin Mega HD to play my carts. This gotta be April Fools joke! Nope. They had me at Castlevania Bloodlines and lost me at 3 button controllers. Why are the controllers missing three buttons? 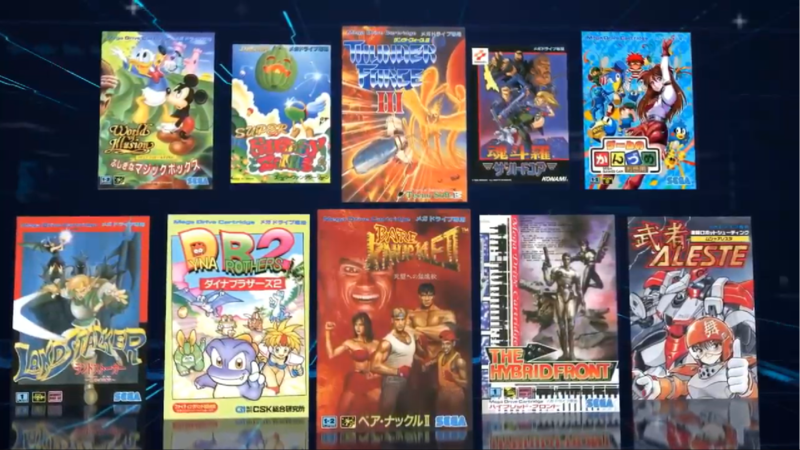 While the full game list hasn't been announced yet, it's likely going to have a lot of the same games that have been re-released endlessly on the various Sega game compilations (Sonic Mega Collection+, Sega Genesis Collection, Sonic's Ultimate Genesis Collection, Sega Genesis Classics, Sega Genesis Flashback). Unless it has something REALLY good that isn't available on any of those, pass. I pre-ordered two of them........ am I insane? It wasn’t yesterday that the video was posted by any chance? @Fandabidozi no I think it was the day after announcing it. So, Saturday? Maybe Sunday? Can't remember, just had YouTube on in the background, wasn't paying full attention to my TV, just heard them say it. But it's not true, the system looks tiny, no way a normal Megadrive cart would fit. Mean Bean Machine is fun and all, but hope we can get some original Puyo Puyo action! Aw it's only rated T for Teen, I guess we won't be seeing those Mortal Kombat and Splatterhouse games on here. Heck I just realize Eternal Champions was never included in any of the Sega Genesis compilations at all except the AtGames systems cause including the game on it will make it an M-Rated compilation. I guess we'll be missing Eternal Champions on this as well which is sad then again M-Rated and the bad reputation is what kept consumer from getting the PlayStation Classic so I hope this helps Sega. The advertising motto for this thing should be, "Genesis does what Nintendid." Seriously though, I have no plans to get this, but I'm glad that it's a thing that exists. Love Sega, love the Genesis, and Sega's return to console-making (after a fashion) is long overdue and has been long awaited. I just hope they don't find a way to biff it the way Sony did. @Lodmot Not at all, it looks like a solid product. M2 working on it is icing on the cake. The more I think about this, the less I want it. I loved the Genesis back in the day but $99.99 CDN plus tax for just the 3 button controller (in North America) and only 40 games? I don't know, I was able to justify the price for the NES and SNES Classics but I guess that's because I've always been more of a Nintendo gamer, plus I hacked the SNES Classic and got pretty much every game made for the machine added to it (still with memory storage to spare...seriously Nintendo didn't utilize the storage to its fullest capacity). With the Genesis, I can get the Sega Genesis Classics game off the eShop for $39.99 CDN (and sometimes I've seen it go on sale) and get 50 games, plus the convenience of playing it literally anywhere. I think that might be better bang for my good ol' Canadian Loonie! Considering it is USB and not the original ports, I really wish it was the 6 button controllers. I stopped using those 3 button controllers the second I got my hands on the 6 button version many, many years ago. I hope those new SEGA 6 button USB controllers will work. I'm surprised they're using the three button controllers. The kid in me loves the design, but I found the 6-button pad more comfortable and the extra buttons were very useful in some games, like Comix Zone. I already own the listed games on several compilation discs, I want some new games that haven't had many recent rereleases. If the controllers are USB, can I buy USB six button controllers to use instead? I just preordered mine. But I'm annoyed that the west isn't going to be getting the 6 button controller. 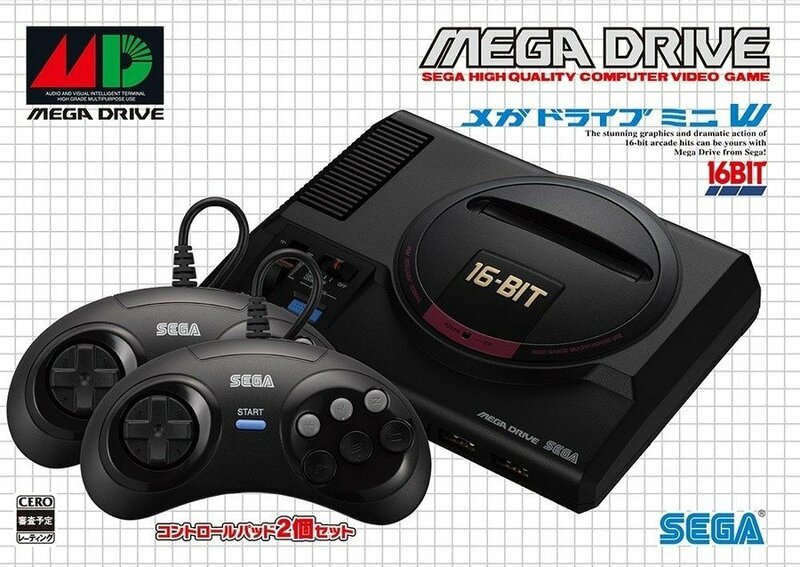 But after a conversation with a few Sega heads on Twitter, the Mega Drive Mini might not really need the 6 button pad. There are only a few 6 button compatible games, and those games had support for 3 buttons too. There was no 6 button only titles on the MegaDrive. @SepticLemon So much for Street Fighter II Championship Edition and Super Street Fighter II coming to the machine. You have to be forced to use the Start Button to swap between punches and kicks, without pausing. Till now I played Genesis games always online. Try it. I pre-ordered via Amazon, I'm tempted to order another one though. Hoping it will be Streets of rage 2 that makes the cut.